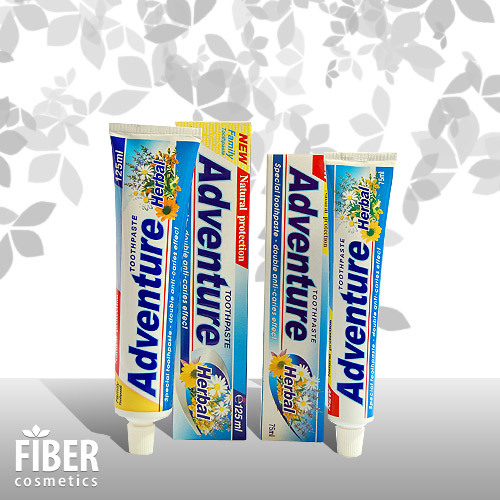 Products / Mouth Care / Herbal Toothpaste "Adventure Herbal"
Toothpaste "Adventure Herbal" contains natural extracts of sumac, camomile, rosemary and thyme and it provides anti-inflammatory and healing effect on the gingiva and teeth. The extracs provide natural protection agains paradontosis and prevent formation of dental plaque. 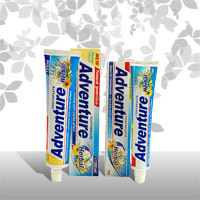 The active fluoride, included in the content, healthen the dental enamel which prevents the formation of caries.